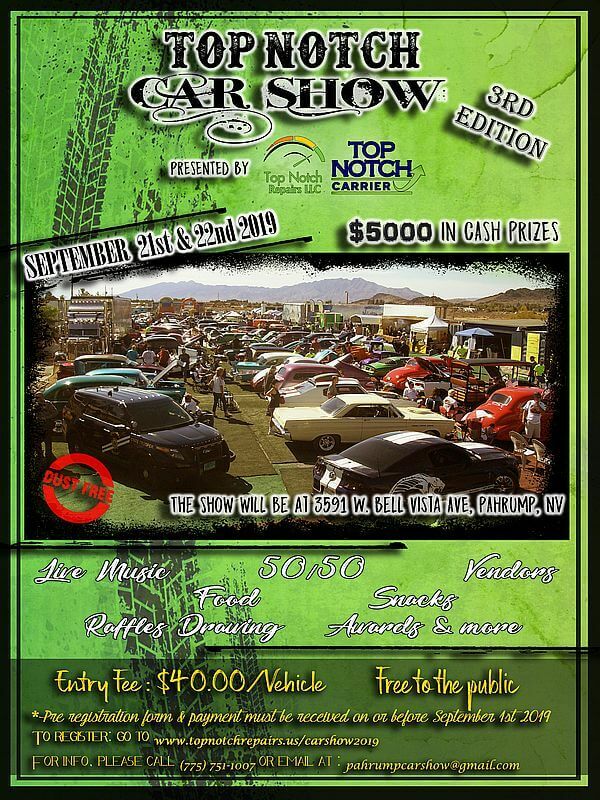 The 2 first editions of the Top Notch Car Show were very successful; Top Notch Car Show 2019 will be even better! Join us September 21st and 22nd 2019 for a whole weekend of fun! It’s $5000 in cash prizes. Fair judging. We will have Live music all weekend, Raffle drawings, 50/50, Foods and beverages, Vendors and it’s kids friendly. Fun for all ages. Vehicle registration is $40; Free to the public.